– You will speak the language of people. – You will eat their food. – You will wear what they wear. 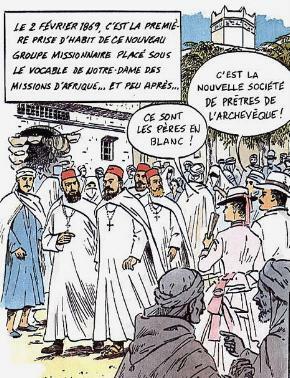 T his New Missionary Society took therefore, at the beginning, the arab dress: the gandoura, the arab cloak and the “chéchia”, with as a religious sign a rosary carried around the neck like a necklace. “After the opening of the novitiate, in 1868, vocations arrive numerously enough so that in 1876, a first caravan of three missionaries can leave for Timbouktou. Unfortunately, they were all slaughtered by the desert nomads. 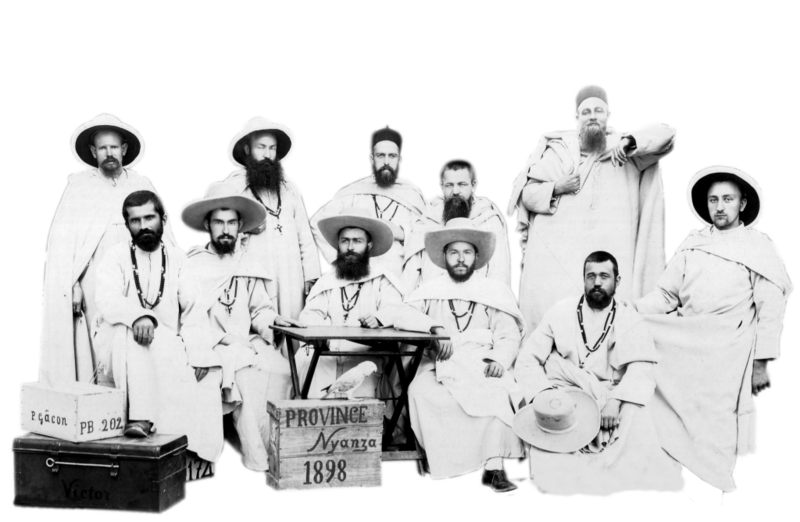 Two years after, in 1878, another caravan of several missionaries arrives to the port of Mombassa, on the East coast of Africa. 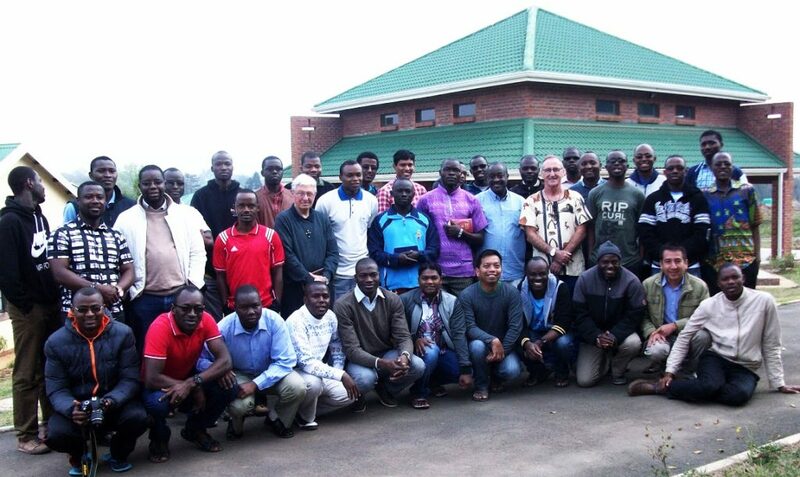 After three months of walking, it reached the edges of Lake Victoria and settled in Uganda. Other caravans would follow, often in difficult conditions. The African adventure of the White Fathers was begun. 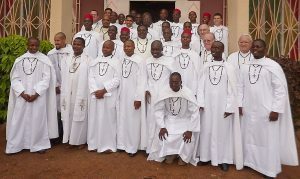 At the death of the Cardinal Lavigerie, in 1892, 278 Missionaries of Africa, of 5 Nationalities were working already in 6 countries: Algeria, Tunisia, Uganda, Tanzania, Congo and Zambia. 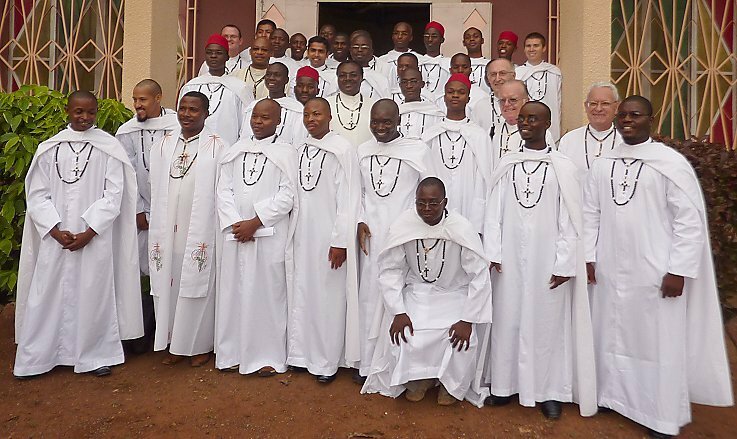 Today, they are 1232 Missionaries of Africa, from 36 different nationalities, living in more or less 215 communities and working in 42 countries, of which 22 are African countries. The average age of the Missionaries is 68, but in fact much lower in Africa. More details on the statistics are here.